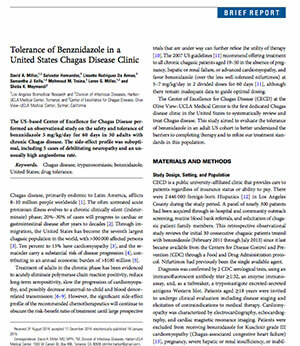 There has been lack of research on Chagas disease in the United States. 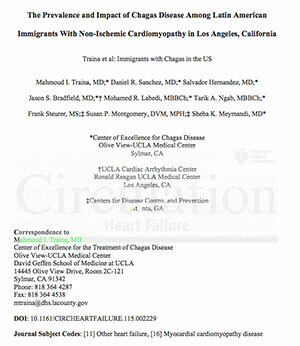 Most studies, including major clinical trials, have taken place in Latin America and Europe. The CECD and other institutions are currently working to build evidence to help us better understand the burden of Chagas disease and the best ways to provide treatment to those in need. 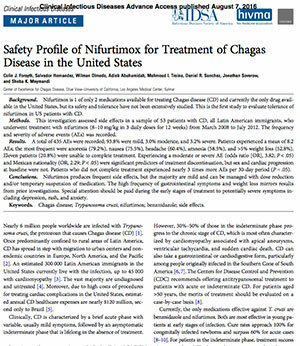 Below are major studies that have helped define the burden of Chagas disease and inform current treatment guidelines. 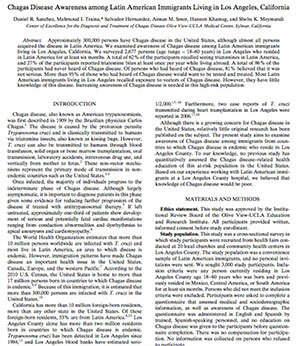 Chagas disease in Latin America: An epidemiological update based on 2010 estimates: World Health Organization; 2015. Chagas disease. Rassi, Rassi and Marin-Neto. (This article provides a complete overview of Chagas disease, including diagnosis, pathophysiology and treatment). 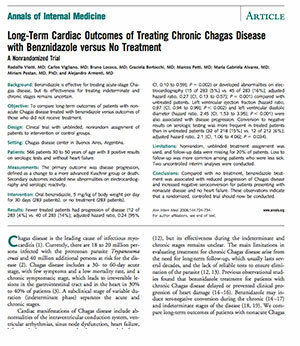 Long-term outcomes of treating chronic Chagas disease with benznidazole versus no treatment. 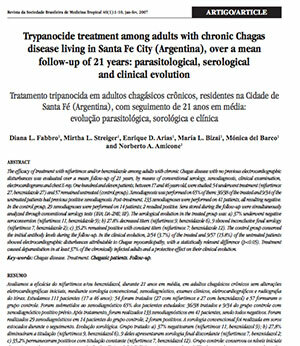 Trypanocide treatment among adults with chronic Chagas disease living in Santa Fe City (Argentina), over a mean follow-up of 21 years: parasitological, serological, and clinical evolution. 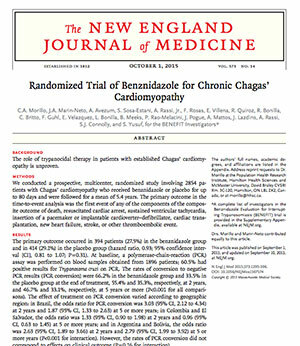 Randomized Trial of Benznidazole for Chronic Chagas’ Cardiomyopathy.